Following the same format of their first Soundbombing comp, Rawkus returns with a stellar sequel. 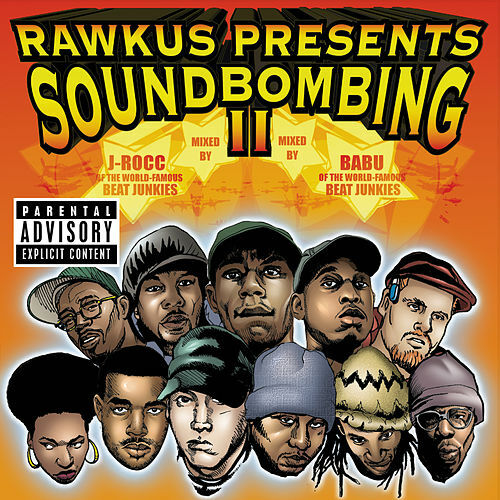 Mixed by Beat Junkies J Rocc and Babu, this action-packed collection features classic singles from the likes of Common, Mos Def, Pharoahe Monch, Sadat X, High & Mighty, Eminem, Thirstin Howl III, and many more. 27 tracks deep and chock-full of gems.